At Woodside Dental Care, your dental health is our first priority. Our Ventura dentists have decades of experience, and are committed to providing you with high quality, affordable dental care in the most gentle and comfortable atmosphere possible. "Woodside Dental is the best office my family has ever been to. 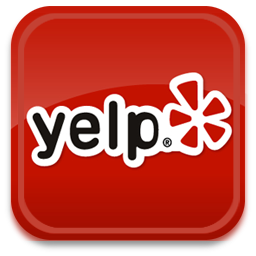 They are professional and courteous and attentive.- Janine K."
"Pleasant experience! Helpful, cheerful front office. Awesome, thorough teeth cleaning experience. - Christina A." At Woodside Dental Care we use conservative, state-of-the-art procedures that result in healthy mouths and beautiful, long lasting smiles! Our team treats all our patients as if they were family. In addition to English, our practice is staffed with Farsi and Spanish speaking dentists. At Woodside Dental Care, a standard of excellence in personalized dental care enables us to provide the high quality dental services our patients deserve. We provide comprehensive treatment planning and use restorative and cosmetic dentistry to achieve your optimal dental health. Should a dental emergency occur, we make every effort to see and care for you as soon as possible. We strive to provide “dental health care” as opposed to “disease care”; that’s why we focus on preventative care and education. We provide thorough examinations – checking the overall health of your teeth and gums, perform oral cancer screenings, and take low radiation, high resolution digital X-rays. We review your medical history to stay informed of any changes in your overall health, any new medications you may be taking, and any illnesses that may impact your dental health. We are very strict with regard to infection control. To protect our patients and ourselves, we maintain rigid sterilization and cross contamination processes using standards recommended by the American Dental Association (ADA), the Occupational Safety and Health Administration (OSHA), and the Center for Disease Control (CDC). We make no exceptions and will never compromise the safety of our patients. Woodside Dental Care is a team of highly trained and skilled dental health professionals. We pride ourselves in providing the care you need to keep your mouth healthy and your smile beautiful. Our entire staff is committed to continual education and learning. We attend dental lectures, meetings, and dental conventions to stay informed of new techniques, the latest products and newest equipment that a modern dental office can utilize to provide state-of-the-art dental care. Building a foundation of trust by treating our patients like family is at the core of who we are. We understand how uneasy some patients can feel about dental visits and know we can make a difference by providing a relaxing and positive experience. Our entire team is dedicated to providing you with excellent, personalized care to make your visits as comfortable and pleasant as possible. Ventura dentists at Woodside Dental Care are dental professionals dedicated to general, family, and cosmetic dentistry with services including dental exams, dental makeovers, teeth whitening, veneers, crowns, x-rays, cleanings, and more. Please call our dentist in Ventura, CA to schedule your next appointment.